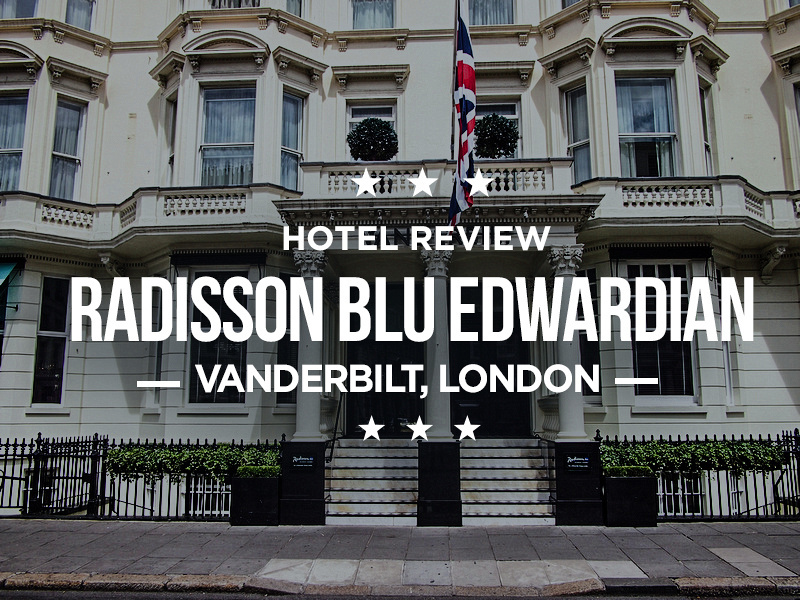 I stayed at the Radisson Blu Edwardian Vanderbilt in London. I was a guest of Club Carlson, who provided points for my stay in London. 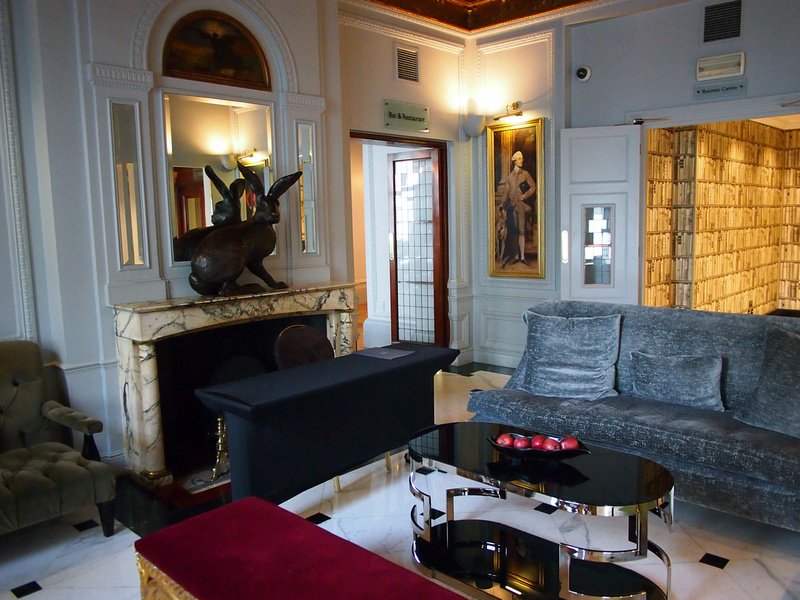 The hotel is named after the Vanderbilt family as the building was originally their family home in London. It’s located near the corner of Gloucester Rd, near the Gloucester Rd tube station. Locationwise, this is as good as it gets for a visitor to London. You are in Zone 1 central London without being in the busy West End, and there are three train lines that stop at Gloucester Rd. 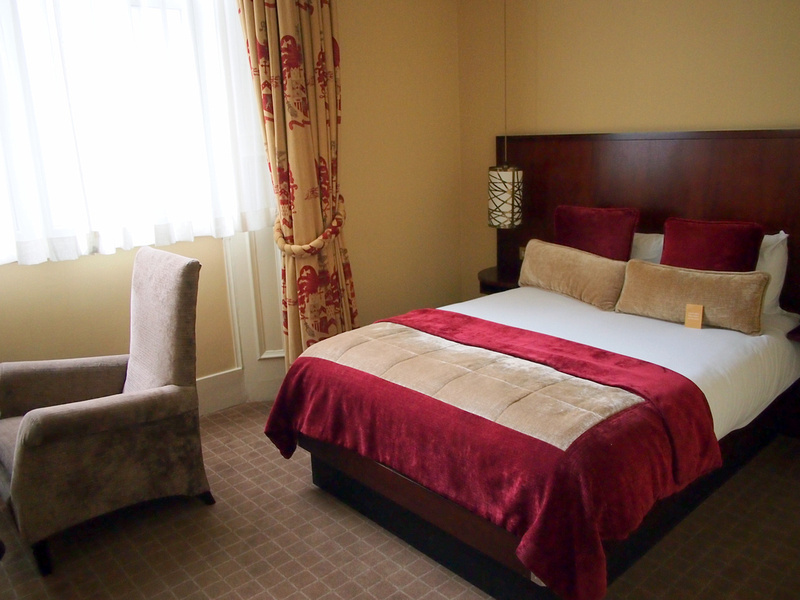 A got a double room which was a good size space for an inner London hotel room. Opposite the bed was an adult sized table that had enough room to work on, as well as a comfortable work chair. 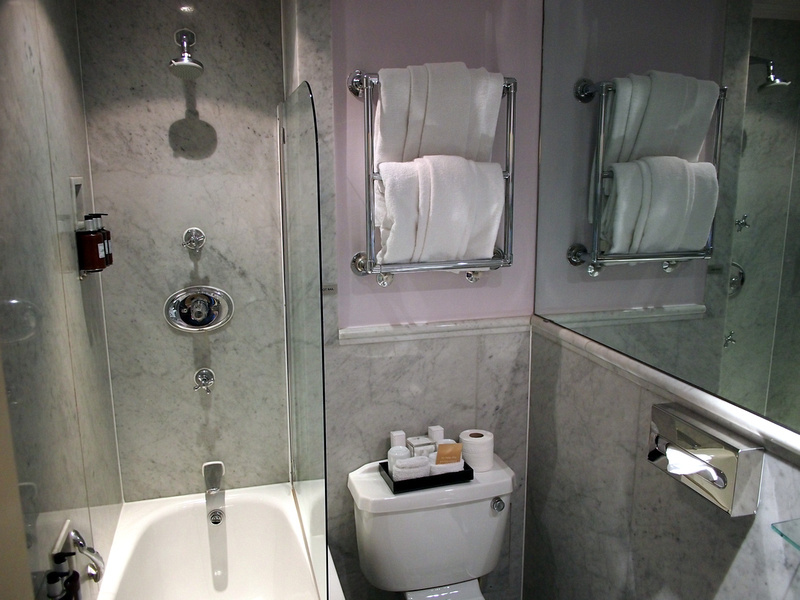 The bathroom had a powerful shower with quick hot water. Collectors of mini toiletries may be disappointed to find there are no mini soaps and shampoos here. I’ve always though tthat was incredibly wasteful though so I like the bottles of soap and shampoos in pump bottles. I loved how they have mixed 19th century art with some modern touches. 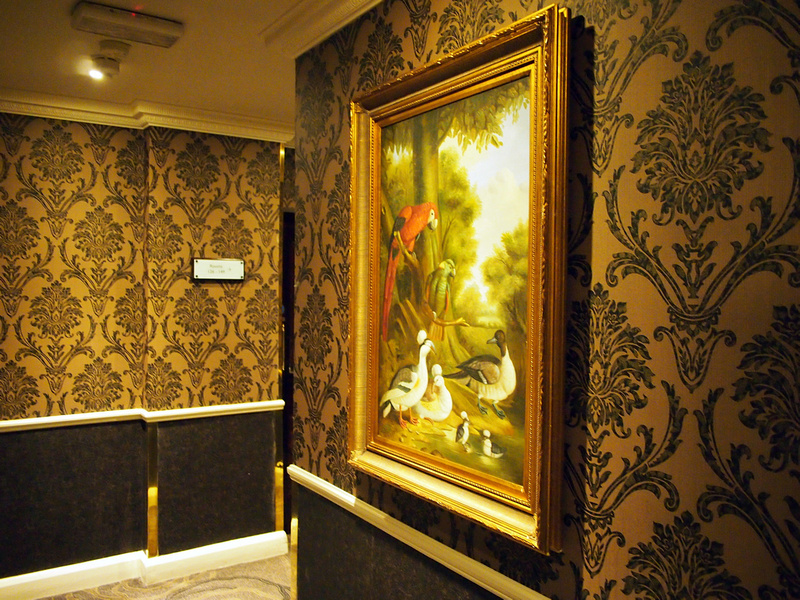 I like the corridor decorations as well, including the wallpaper and old-style paintings of birds. There is free wifi in the hotel with a simple once-only password, so no need to continually login. Breakfast is served in the attached restautant (Scoff & Banter). Breakfast was not included in my rate so I didn’t try it out. There are plenty of eating options on Gloucester Road.